The United States Fire Administration reports that there are 15,000 home clothes dryer fires each year. These fires cause an estimated 13 deaths, 444 injuries, and $238 million in property loss. They also report that not properly cleaning your dryer is the cause of 80% of the home clothes dryer fires. 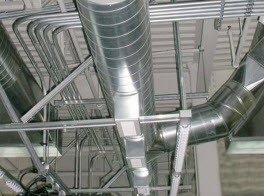 Since most home clothes dryer fires happen in the fall and winter months, Sterling Environmental Air Duct Cleaning wants to make sure that you know of the dangers that can be caused by not properly cleaning your dryer vents. As your dryer operates lint gathers in your dryer vents. Lint is extremely flammable. If lint builds up in your dryer vents it becomes a severe fire hazard. Making sure that you routinely clean out your lint trap as you are doing your laundry is one way to prevent lint from building up. When you couple this with routine dryer vent cleaning you are significantly reducing the risk of a home clothes dryer fire in your home. When you run your dryer with a dirty lint screen you are not only increasing your risk for a fire, you are also costing yourself more money in utility bills. Running your dryer with a dirty lint screen can use up to 30% more energy. On average this increase in energy will cost homeowners $30 or more per month. Lint causes your dryer vent to be blocked or clogged which in turn forces your dryer to work harder and longer to dry your clothes. Not only will your energy bill increase but the length of your dryer will also be decreased. Maybe you are not really concerned about a house fire but how would you feel about a pest invasion in your home? Pest invasions can scare even the toughest of homeowners. When your lint has built up in your dryer vents your duct hood flap will not be able to close properly. 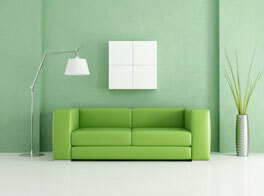 Pests are always looking for a way into your nice warm home, especially in the winter months. 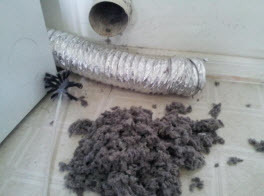 If your dryer vent is not all of the way closed pests will make their way into your home through your vent. Birds, rats, and mice love to make their way into your home through dryer vents. How Often Do You Need Dryer Vent Cleaning? Experts recommend that you have your dryer vents cleaned at least once a year. If you have a larger family and your dryer gets used more frequently you may want to have your dryer cleaned up to three times a year. There are signs that your dryer vent is in need of cleaning. One sign is that your clothes take an extra-long time to thoroughly dry. If your clothes are extremely hot when you take them out of the dryer that is another sign that it is time to clean your vents. Another sign is that the top of your dryer is hot to the touch when it is running. The last sign that your dryer vent is clogged is that the dryer vent flap isn’t able to open while dryer is running. 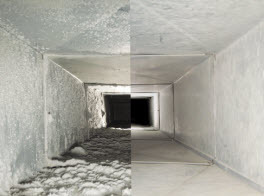 If you see any of the warning signs of a clogged dryer vent please give Sterling Environmental Air Duct Cleaning a call today! We would be happy to come out and clean your dryer vents. Keeping your family safe and free of pests is one of our top priorities. Contact us today!